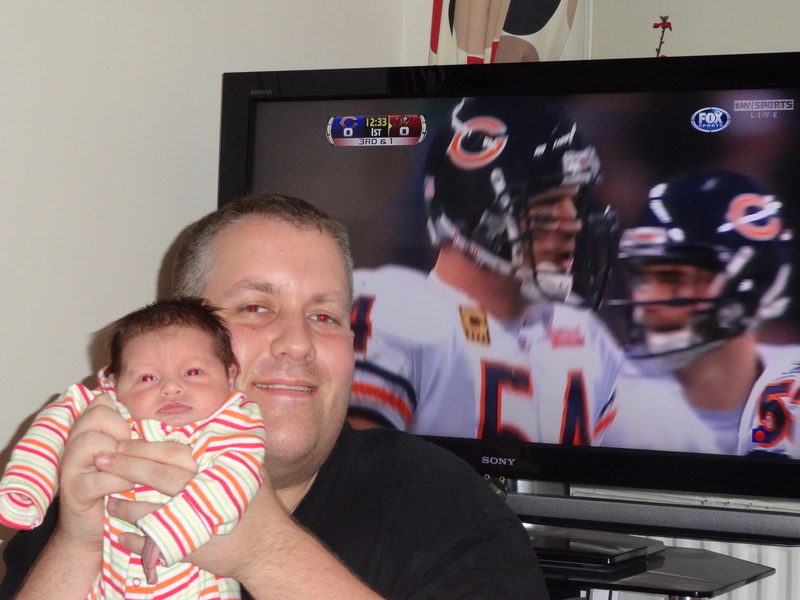 I had to watch the Bears v Buccs at home last weekend as we have a new arrival in the Vos household. Normally when the NFL is playing a regular season game in London at Wembley Stadium my wife and I are there, but this year I wanted to be a dedicated father and mum wasn’t going anywhere that wasn’t warm. Thank goodness I had a very kind NFL FAN IN ENGLAND blog reader Rich Grove who managed to persuade his fiance to take pictures at the game. Rich send the pics through which can be found on THIS FLICKER LINK. The pictures are great and well worth a look, especially the flag waving pictures depicting the electric atmosphere at Wembley. Thanks very much Rich and Natasha – great job capturing the essence of NFL fun in England. Roll on 2012 with hopefully TWO NFL games in England. On slightly sad note to leave this post on was the injury to Tampa Bay RB Earnest Graham who is now out for the season. I predicted him to be the game MVP last week, lets hope I didn’t curse the guy.